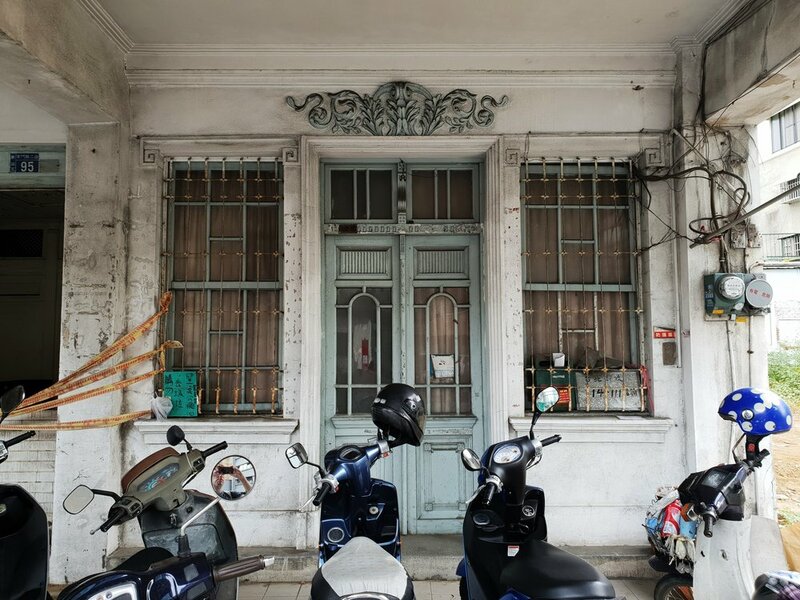 Continuing from Part 1 here are a few more of Tainan's historic sites that are hidden away and waiting for restoration. The 1924 Army Minhang Building (臺南陸軍偕行社) is a famous and unusual looking house opposite Tainan park. I've had trouble translating Minhang but it seems as though this was some sort of officers club. Currently it's fairly dilapidated but I've seen worse restored. There are a few older photos here. Looking inside, the interior is not in great repair with large parts of the floor missing. The notice says the site belongs to the army and is under preservation. It asks people not to hang political banners or notices on the house. The prison in 1948. The preserved part is the tall structure at the hub of the cell blocks. This is an unusual one. While drawing old central Tainan I realized there used to be a large prison near Ximen Road. Nothing currently exists on the old prison site however part of the main cell block does exist…. sort of. Thirteen kilometers away on the fringes of New Tainan Prison is a very incongruous cell block remnant. 2018: The roof has collapsed and it’s surrounded by thick vegetation. This part was rebuilt here in what is a very remote location, and then just left. There are some pics here from when it was accessible and not too damaged. Consequently the structure has been battered by storms over the past few decades and is falling apart. This is possibly the most bizarre relocation I've seen in Taiwan and I'm not sure what the thinking behind this was. 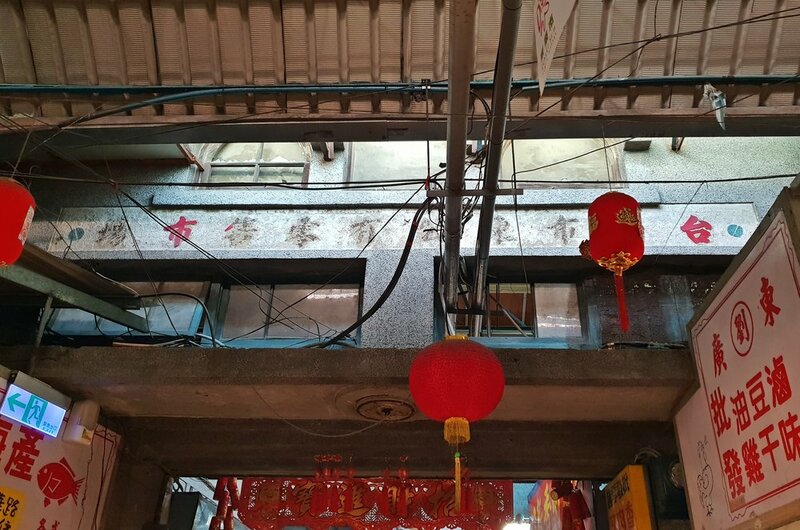 Back towards the center of the city the 100 year old Qingshui Rowhouse (清水寺街連棟街屋) is a rare line of small homes. They have possibly the most fragile looking balconies in Taiwan. It has been left pretty much as original. According to this it's because the households are intricately connected so an individual owner couldn't rebuild. The large flowering plant growing over one end is particularly scenic. A bit to the north, next to a house with an unusual stone facade, is an abandoned house with some pretty roof details. It's one of several Qing dynasty homes in ruins in the city but it is one of the more scenic ones. Unfortunately I can't even find a name for this one and searches of the address just lead to the restaurant next door. Also in the city center there are a couple of notable large wooden buildings waiting for restoration. The first is Sun's House (永福路孫宅) opposite the entrance of Yongfu Elementary School. This was built in 1940 as an office but it later became a doctor's residence. It seems it was inhabited by a descendant of a man called Sun until at least 2009. The second I assumed to be a high ranking person's home as it's right by the main government offices. It's called the Sanxin Lishi Director's House (三信理事宅). Sanxin appears to be some sort of credit co-operative but there's nothing much online about the house. Both are high quality buildings with much finer architectural features than others from the era. Another similar abandoned wooden house exists in a tight alley behind Minquan Road. I've always loved the round windows from this era. Near the train station are a couple more hidden away buildings, though neither are that impressive. The first is East Gate Market. Unlike the one at West Gate I couldn't find any photos of how this once looked. If you look closely enough there's a stone entrance arch and some details hidden away behind the acres of sheet metal. The building that houses this Nike store is actually one of Tainan's first tall buildings. It appears on maps dated to the early 1920’s and has a simple classical style. I have no idea what the facade once looked like however and it's probably lost now. A couple of places are worth mentioning on the other side of the train tracks. The first is this beautiful shophouse located down the street from the East Gate. Incidentally Tainan’s city walls covered a huge area, much greater than any other city here. This dates from 1930's and is one of the more ornate buildings in the city. The house belonged to Xu Songyan who was a member of the city council. It seems some restoration work is going on so hopefully this will be saved. Not far away are the restored wooden buildings of the agricultural research station from 1923. I assume the fenced off brick structures nearby are part of this center. They are disused but not in a bad condition. There are a some more modern places around like a few movie theaters that I didn't include as I wanted to focus on the older stuff. Those are all the noteworthy places I found in Tainan awaiting restoration so far. I’m sure I’ll find enough for a part 3 in the future. The pop art facade of the Dong-an Theater. A deeper report here , I also couldn’t get inside the screens. All the places described here can be found on the Hidden Taiwan Map along with a lot else.